things that make me happy! : My New Machine! I have got a new machine!!! A Janome Memory Craft 6600!! On a nice date - 1.2.12! My Bernina Activa 220 has been with me since 2008 (was one of the best surprise gift from tyre) and its perfect for my sewing crafts till now and will continue to be great! Its solid and sews beautifully & quietly. Since tyre now works in hk, as the wife, i keep him company. It gets quite boring after some time (dvds and shopping overdose) so i needed to start crafting to pass time. Had bought a basic Brother sewing machine but quite regretted it after some time cuz its really for basic sewing and the stitches are pretty loose and weak looking. So i started toying with the idea of getting a new machine. One in Singapore, another in hk. Ms G suggested for me to bring my Bernina over and when i needed to satisfy my crafting needs in singapore, i could borrow her juki. But but but... i just needed to own my own stuffs ! hahaha yeah.. wasteful. My alternatives were Bernina, Elna or Janome. Bernina is almost immediately out cuz its way to expensive for a more advanced model. 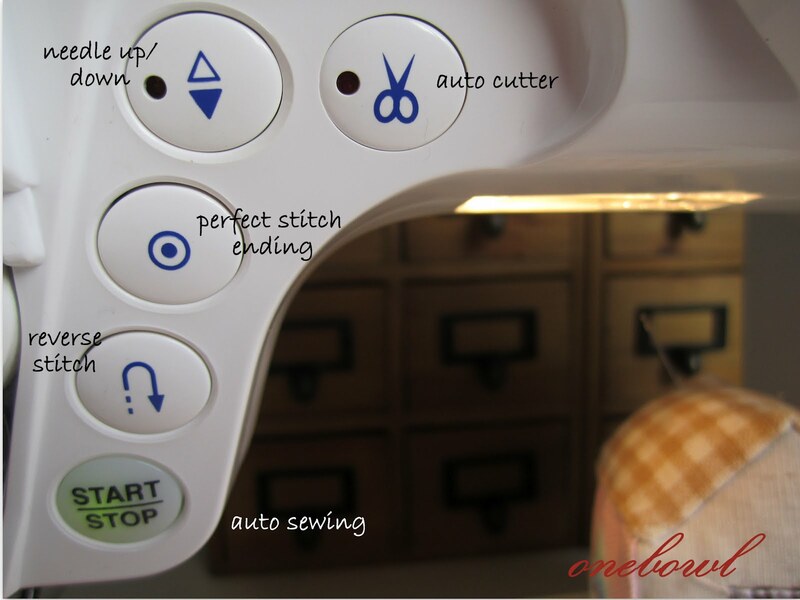 I had used Elna few years back in Taiwan when we went on a crafting trip - the teacher used the Elna which sews perfectly and more importantly, it has a auto cutter function. This means, press one button and the strings cut perfectly. No need to pull and cut. I knew i had to have this crucial "auto cut" function in my next machine. 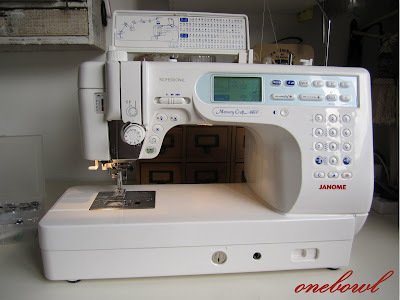 As for Janome, its a foreign brand to me but Ms G said its popular among japanese crafters. Also, Elna machines are now made by Janome (so i was told by people in sewing industry) So being the sucker in me, i sort of decided on Janome. And just before i confirmed my order, i did online research between Elna 7300 and Janome 6600. Seems like the features (which i look out for) are largely the same. So... Janome it shall be! And the best thing, they provide free delivery and home training! Compared to my Bernina after sales service support experience, Janome beats hands down! So friendly and patient! Bernina was more haughty in comparison. Susan the trainer spent 2 hours going through in details how to use the machine. Here are some of the key functions i love - and with this machine, there's no need to use the 'step pedal' to sew - the start/stop button will do. It comes with a boxful of footers for different types of sewing methods. Amazing! Without the training, all these would just be sitting at one corner collecting dust. I feel so inspired to start using the different types. Good job! After Sean's quilt, you can make more cushion covers for us! Woohoo! ooohhh...I am eyeing at the Janome machine too! 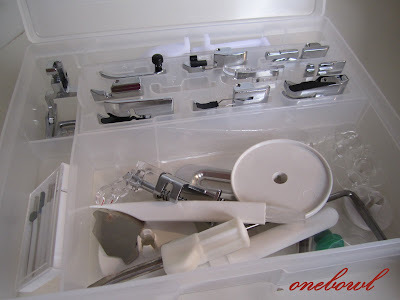 but i read that alot of US crafters use bernina sewing machine. but there is a dealer who supplies janome in Sg and I can't find any for bernina. which do you think is better? Wahh nice!! So no foot paddle?? Saw this when i was searching for more info on ur machine... expensive machine lehH!